Formula 1 is the highest class of single-seat open-wheel racing. The “formula” of the title refers to the set of rules which participants must follow. Racers who wish to participate must have a Super Licence, which can be obtained by accruing the requisite amount of points in eligible feeder series and other approved racing series. It has always had the distinction of being contested with the world’s fastest road course racing cars, although Indy Cars can rival it for top speed on oval tracks. Formula 1 has its roots in the Grand Prix championships that were held in Europe during the 1920s and 1930s. These championships were halted by the outbreak of World War II. After the war, in 1946, the Fédération Internationale de l’Automobile (FIA) was formed to standardise the rules of motorsport. 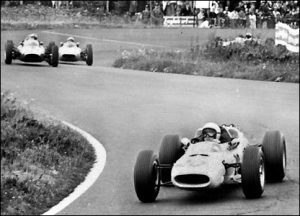 Between 1946 and 1950, the designations of the Formula 1, Formula 2, and Formula 3 motor racing classes were formalised. Initially, there were no championships for drivers and constructors. Instead, around 20 races were held in Europe from spring to autumn, and some were more significant than others. The first World Championship for Drivers was held in 1950, consisting of seven rounds. The race calendar included six European races and incorporated a trip across the pond to the Indy 500. Italian driver Giuseppe Farina became the first champion, driving an Alfa Romeo. Several major design changes have taken place throughout the years. The first was the rear-mid engine. By moving the engine from the front of the car to the rear, it improved handling tremendously. The next major revolution was the introduction of aerodynamics in the form of wings that generate downforce. Then followed ground effect for a while, then turbo-charged engines, and then electronic driver aids. Both of the latter techs were subsequently banned, but today’s F1 cars use highly advanced turbo-charged hybrid engines.